UK Foreign Secretary Boris Johnson has come under fire for comparing the French president to a Nazi prison guard giving ‘punishment beatings’ to Britain for trying to ‘escape’ the EU. Speaking in India, Johnson appeared to liken Francois Hollande to a World War II German soldier, in a move which is likely to further alienate France ahead of Brexit negotiations. No10 on Boris: "he was making a theatrical comparison to some of those evocative WW2 movies"
MPs across the political spectrum criticized Johnson for the remarks, which were branded “distasteful” by some. “Given that we and the French were on the same side in World War II and remain allies in NATO, he could have used a better choice of language to make a reasonable point,” said fellow Conservative MP Bob Neill, secretary of the all-party parliamentary group on France, the paper reported. Former Labour Defence Minister Kevan Jones said, “This is the usual Boris tactless, foot-in-mouth quote that is completely inappropriate. “It undermines [Prime Minister] Theresa May’s reaching out to European allies yesterday,” the Independent quoted him as saying. Liberal Democrat leader Tim Farron also weighed in. “This is an utterly distasteful comment Boris is our chief diplomat, how can he say such things? It’s crass and he is clueless,” he said. 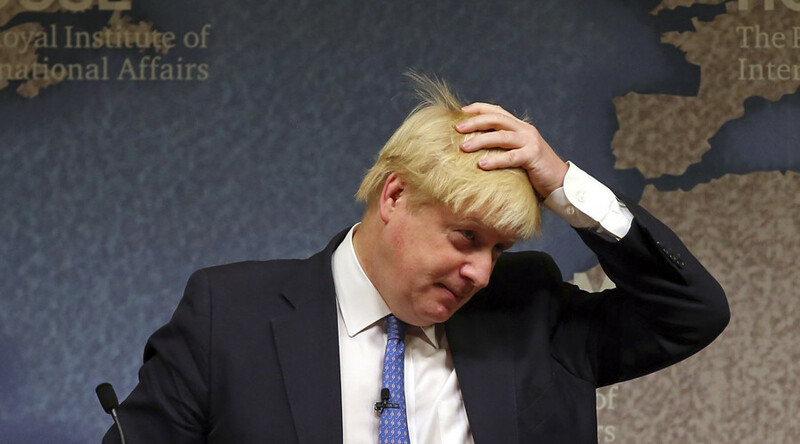 “I understand Boris loves a World War II analogy and likens himself to Churchill. But one was the greatest ever Britain, a war leader, and the other is Boris, who goes round the world as foreign secretary apologizing to all the nations he has offended over the years,” the newspaper reported him as saying. A Downing Street spokeswoman said Johnson’s comments have been misinterpreted. She went on to say the Foreign Secretary was making a “theatrical comparison” to evocative World War II movies. Johnson is touring India in a bid to drum up future trade deals after Britain leaves the EU.